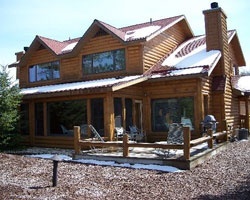 Wisconsin's beautiful Door County is on display at the Little Sweden Fish Creek resort. 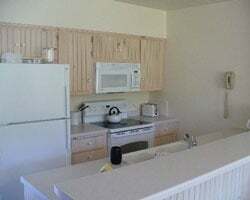 Browse affordable timeshare resales and rentals available at the resort today. What’s My Little Sweden Timeshare Worth? Enjoy a true escape into peaceful solitude with the timeshare accommodations at the Little Sweden resort. Located in Wisconsin's Door County, you'll find yourself surrounded by distinctive Scandinavian-inspired buildings along the calm waters of Green Bay. Home to an amazing golf course and convenient access to swimming, paddleboarding, and fishing, you'll have a variety of both land and water-based attractions. However you plan on vacationing, you can do it comfortably from Little Sweden. The Little Sweden resort consists of units ranging from one bedroom to sprawling deluxe penthouse units, accommodating anywhere from four to eight people. With modern furnishings and upscale in-room amenities like gas fireplaces, full kitchens, and laundry machines, you and your group will have everything you need to fully enjoy your trip. Perfect for nature lovers, golf enthusiasts, or simply anyone who is in need of some R&R, the homelike accommodations at Little Sweden will make your vacation dreams come true. If you're ready to find luxury accommodations in one of Wisconsin's best vacation destinations, you've come to the right place. Fill out the form on this page to learn more about becoming a timeshare owner at Little Sweden, or call a representative at 1-877-815-4227. When you purchase a timeshare resale at Little Sweden, you're not only acquiring years of great accommodations—you'll be getting those accommodations more affordably than others. Since resales are listed for-sale-by-owner, they are often priced much lower than rates directly from the resort. Prices on the secondary market can sometimes be up to 70% lower than retail value, offering you the deal of a lifetime. Resales at Little Sweden often come in the form of deeded or floating weeks, giving you a number of different ownership intervals and prices to choose from. With timeshare weeks spanning the calendar year, you'll also be able to find an interval that fits your vacation preferences. Finally, a Little Sweden resale can give you access to its affiliated ownership club, the Shell Vacations Club. The Little Sweden resort is affiliated with Shell Vacations Club, part of the Wyndham family of brands. Timeshare resale buyers at the resort will be able to make reservations using their week immediately, but some may want to consider upgrading their resale. Upgrading to the Shell Owners Club can transform your weekly ownership into a SVC points ownership, which will allow for easier reservations. Other SVC benefits include exchanges with other Shell resorts, access to SVC Premium Perks, and more. 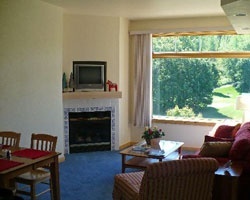 The Little Sweden resort is also affiliated with timeshare exchange company Interval International. You can purchase a separate Interval International membership to complement your timeshare resale to be able to exchange your accommodations for stays at other resorts all over the world. What's more, the resort maintains a Premier Resort rating from Interval International, noting its above average accommodations and amenities. The Little Sweden Door County resort offers a wide range of on-site amenities and services geared toward enhancing your overall vacation experience. The resort boasts both an indoor and outdoor swimming pool, complete with a hot tub and sauna. Fitness enthusiasts will enjoy the exercise facilities, which include tennis and basketball courts, a gym, and trails for cross country skiing, snowshoeing, and hiking. If you've come to golf, you're in luck—Little Sweden also features a PGA-recognized nine hole course, complete with a putting green. Other services, like the free Wifi and free parking will offer the ultimate convenience. Around the resort, the world is your oyster—find spectacular boating, fishing, and swimming spots along the shores of Green Bay, while towns and villages like Fish Creek offer boutique shops as well as art galleries. Already Own at Little Sweden?